Citing his opposition to the recent Federal Communications Commission ruling to end Net Neutrality, Mayor Ras J. Baraka today announced that the City of Newark high-speed fiber optic network will remain Net Neutral. The city, which controls much of its network infrastructure and offers its own broadband service, Newark Fiber, will continue to guarantee equal access to the internet for local business and residents. The FCC’s recent 3-2 decision ending Net Neutrality allows communications companies to charge residents more money to visit particular websites on their networks. The City and the Newark Community Economic Development Corporation (NCEDC), which runs the Newark Fiber program, stated their commitment to keeping the program fair and open to all, and never showing preference to websites that pay more. The decision supports Newark’s growing tech scene which attracts companies who can take advantage of the city’s high-speed, inexpensive and net neutral internet service. Several companies that require super-fast or large bandwidth connections, such as financial services or advanced manufacturing, have recently moved to Newark to take advantage of its network. Many large retail and content providers – including Netflix, Google and Amazon, for which Newark recently submitted a bid to host its second headquarters – have voiced support for Net Neutrality and stressed its importance to their businesses. 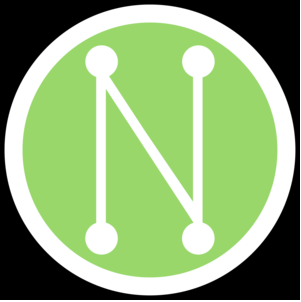 Newark Fiber is a public-private partnership between the Newark Community Economic Development Corporation and Gigxero, which works with companies to establish high-speed networks. The innovative new program offers 1,000Mb and 10,000Mb speed for buildings, in parks, on the streets, and eventually in homes. A number of office building in the downtown area are already connected to the network, and the city has plans to expand the service in 2018.